There’s just certain things you gotta do when you visit some cities. And on our recent trip to Boston, 2 Girls Who Travel knew we had to have a lobster roll. And not just any lobster roll. 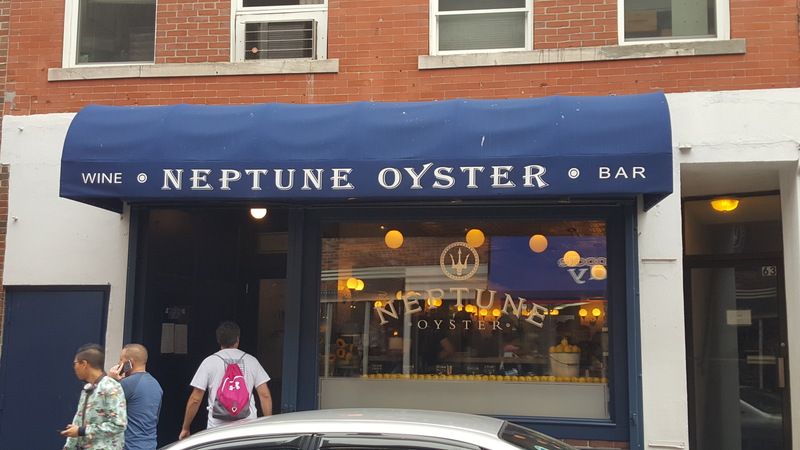 It had to come from Neptune Oyster, a quaint, high-end restaurant located in Boston’s North End. We did our due diligence. There was no way we were devoting an entire blog to a Boston lobster roll from a restaurant that wasn’t worthy. Neptune is worthy. Every single list, blog and review we read said Neptune was the place to go for a superior lobster roll. When we got there, we lucked up on the last two seats at the bar. (Usually, there’s a line). Kim ordered a glass of wine. Val ordered a white peach bellini. Both were good. And then the best part – the lobster rolls. When guests order the lobster rolls, the servers immediately ask if you want cold with mayo or warm with butter. Val: warm with butter; Kim: cold with mayo. When they came out, our mouths were watering. They’re served with fries. Warm with butter: Amazing. There’s not much to say here. Lots of lobster, warm butter and served on a soft toasted roll. Val added a bit of fresh pepper and sea salt. This roll literally warms your tummy and soul. Cold with mayo: Creamy, seasoned well and flavorful. This one did wonders for our taste buds as well. We took bite after delicious bite. (Note: We also switched and tried each other’s rolls so that we could give an accurate review). By the time we finished, we were very full, but we also wanted to order another to go. Please don’t judge the gluttonous idea. They are seriously that good! And it was our last day in Beantown. But we didn’t act on the thought. The verdict: Please don’t make us choose. Can we say it was a tie? Okay, okay, but don’t think by picking a winner, we’re implying that one isn’t good because frankly, we’re picking the lesser of two heavens. Seriously, both rolls are great. But if we had to choose, definitely the cold with mayo wins. It is just supreme. And Val’s not even a fan of mayo! You may choose your preference of lobster roll depending upon your mood … the weather … or just closing your eyes and pointing at the menu. But you really have to try both. You can even order it without the roll (that’s a menu option). If we ever make it back to Beantown, Neptune is on the list – no matter what. 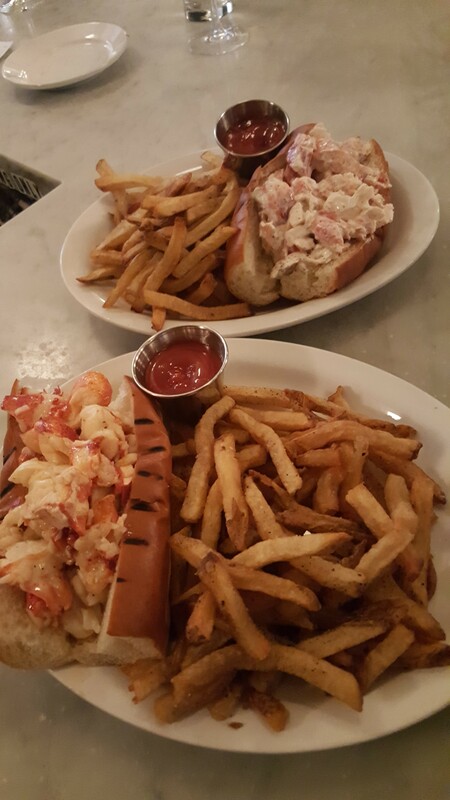 If you’ve visited Neptune Oyster in Boston and had their lobster roll, which one is your favorite? Let us know in the comments below.